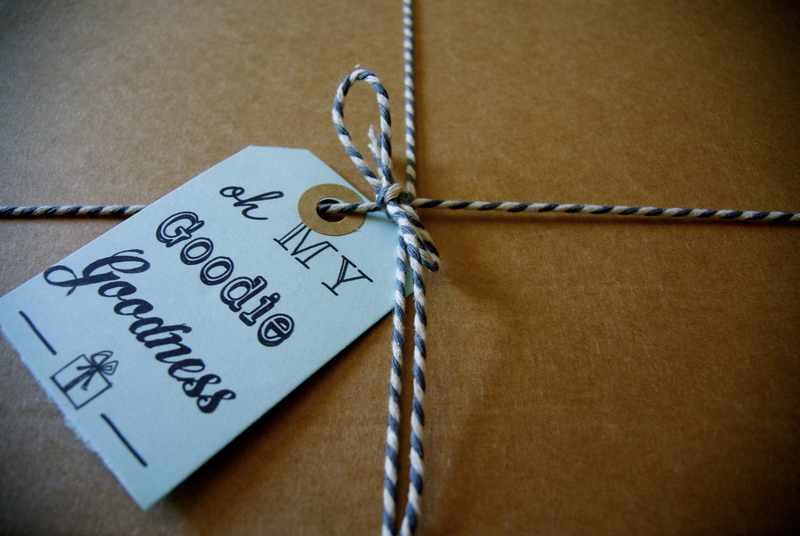 Another Goodie Goodness box has arrived. Well, actually, it arrived last week but I’ve been thinking about how to write the review. Not because I don’t like it – don’t get me wrong – but, well, you’ll see. 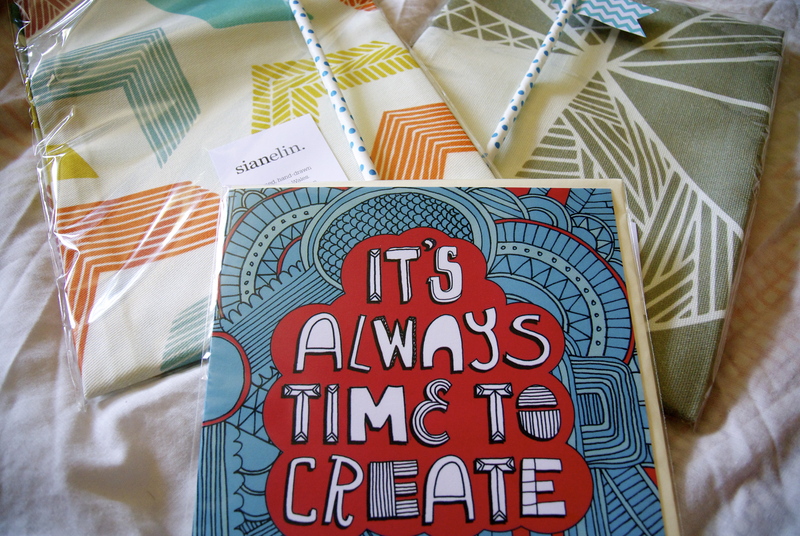 The lovely box this week contained two Sian Elin tea towels, as well as a one of her cards. Sian’s fabrics are inspired by Eastern designs and they’re really stunning. Looking through the items she has on her website, I want almost every single cushion (which would be insane as we only have a two seater sofa). 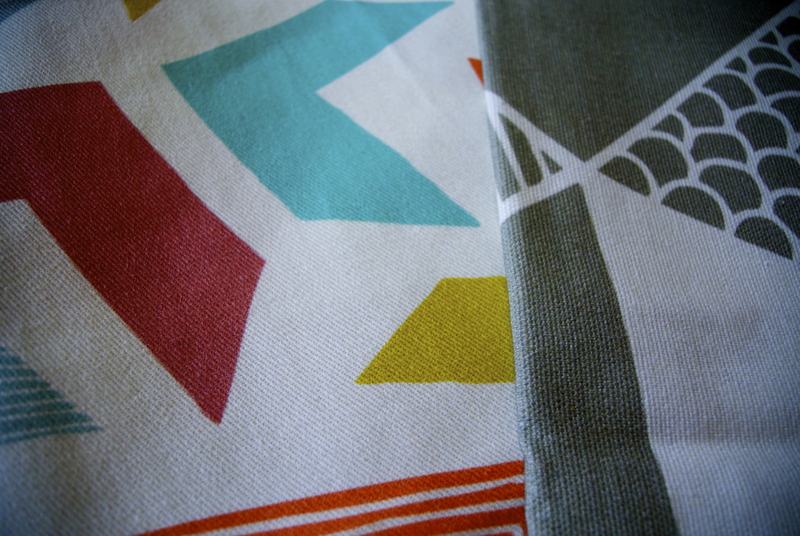 The only thing that’s holding me back from gushing about the tea towels is, well, they’re tea towels. I know some people do get excited about this sort of thing, but I don’t. They’re practical items used to dry plates! But we are in the middle of designing our new kitchen (which I am very excited about) so maybe we can use these as a starting point for a colour scheme or something. I really like the blue and yellow, so whilst they’re not going to rock my world, they are a well timed and handy gift. New kitchen? Will is be proofed against soda stream explosions? I don’t think any kitchen ever could be!